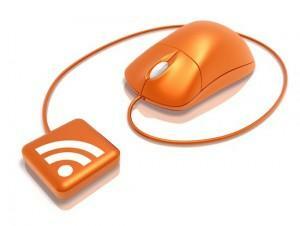 An RSS feed allows readers to receive automatic blog updates. In a recent blog post, we discussed the changes Google made to their search algorithm, making keyword and SEO tactics less effective. They’ve coined this latest update “Hummingbird,” and it is meant to deliver more relevant, useful search results to Google users. So, if we can no longer populate our websites with keywords to improve search engine rankings, what can we do? Create content. Content can be any information that is valuable to your audience and answers their questions. It can be informational, educational or practical. The key is to develop content using language that naturally fits with what your target market is researching online. Let’s look at some specific examples and how they can help maintain you’re community’s online presence. Videos – Videos tend to rank very highly in search engine results, because people love watching them. In fact, YouTube is the second most popular search engine in the world, right behind Google. With video, you’re able to show, rather than just describe, your community. By using hosting sites like YouTube and Vimeo, you can optimize your video for search by including relevant titles, descriptions and transcriptions. This is where you would include key search phrases. MAC Marketing recently launched an unconventional marketing campaign featuring this video. Infographics – These graphics are an excellent way to simplify complex or multi-step processes – like qualifying for a mortgage or the contract-to-close process. They can be created either by your graphic design team or using DIY software from sites like Infogr.am or Piktochart. Here’s a great example of an infographic from Keystone Custom Homes depicting the steps to building a new home. Guides – In the sales center or model home, there is often one or several packets of information that agents give to prospects. This could be information on the school district, neighborhood eateries and hang-outs, or transportation options. Why not repurpose this information into website-friendly content? It would help position your team as neighborhood experts, and add to your pool of searchable resources. Again, use language that a prospect may use when searching for this information. By incorporating language this way, Google will recognize it as authentic content that users will be interested in reading. Photos – You may be thinking, “Of course I’ve got photos on my website!” But how often do you update them? Google likes fresh content, so it’s a good idea to update your photo gallery periodically with high quality, appropriately titled photos. Also, don’t forget to leverage the power of social sites like Facebook, Flickr, Pinterest, even Instagram, to organize and share your photos. Now that you’ve got all this great content on your site, the next step is to distribute! Many homebuilders and communities have some social media presence. Your current followers are your friends and supporters, so be sure to share the content with them. The more they view, share, like, and comment, the farther your message will spread.